Sony Summer Fever Starts Now! If you're in this part of the globe, I am sure you can now feel the summer heat. The only way to beat the heat is by going to the nearest beach out of town or the farthest secluded island that you have been planning for a long time. My summer started with a blast with white sand beach, blazing sun, and a semi golden tan in the beautiful island of Boracay. 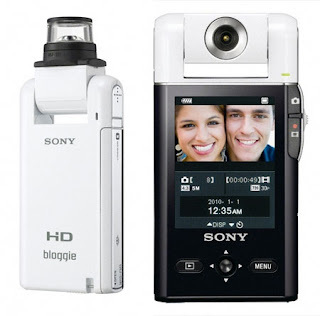 Shangri-La Boracay Resort and Spa did not scape the heat of the hottest gadgets Sony unveiled. I got to experience Sony's latest offering of Cybershot, Handycam, and it's coolest Bloggie. 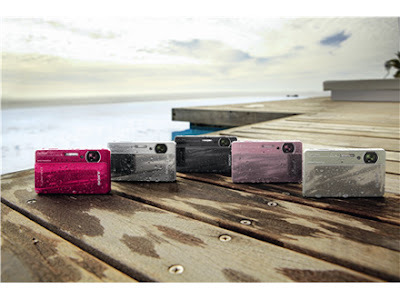 Cyber-shot TX5 - Sony’s slimmest waterproof, shockproof, dustproof and temperature-proof camera. Splashing around the waves and viewing the underwater world will never be the same again with the new stylish Cyber-shot TX5, which measures only a slim 16.7mm, making it the slimmest water-proof camera today with Exmor R CMOS Sensor. With its futuristic mirror finish and elegant design, you are sure to become an attention-getter on summer fashion. The intuitive touch screen feature, a mainstay for the Cyber-shot T series, can also be used underwater. Plus, you can get to choose among the four fun colors of pink, red, black and silver to suit any personality. Perfect for the beach and travelling during the summer vacation, this sleek and compact camera is protected from water, dust, shock, and temperature. Its built-in water resistance allows the camera to record everything up to 3m deep. The shockproof design protects the Cyber-shot TX5 even when dropped from a height of 1.5m. Temperature-proof, you may even use this camera even in temperatures up to 10C below freezing point. The new Cyber-shot TX5 has also been incorporated with SD Card slots, for worry-free use. I'm sure the fun will not end on photos that you'll be excitingly uploading on facebook to share with your families and friends. Videos will be a must for a fun and exciting summer experience. 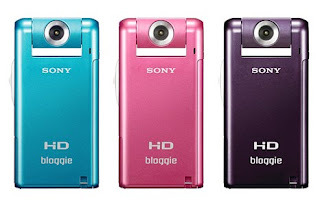 With Sony's Bloggie, uploading and sharing your videos won't be a hustle. Forget those cables that you always forget to pack, the new Bloggie comes with a built in USB arm and and software which allow you to instantly share and upload HD videos. Especially made for those who love to capture perfect video effortlessly, this new mobile HD snap camera is extremely compact and can be automatically switched on with just a flip of the 2700 rotating lens. Additionally, the MHS-PM5K aka Bloggie comes with Sony’s new 3600 video lens which lets you record the surrounding action in entirety. Did I say that it has dual slot, for Sony Memory Stick and SD. Choose which suits you best among the four vibrant colors: blue, pink, white and violet.